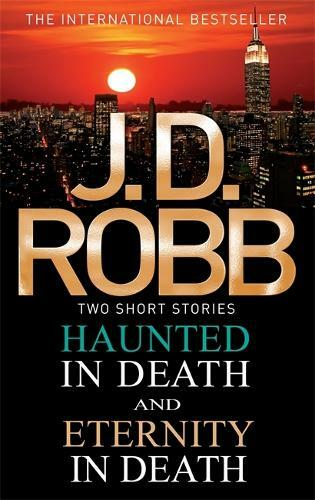 Fear, revenge and deadly superstition collide in these two exclusive J. D. Robb short stories. Lieutenant Eve Dallas doesn't believe in ghosts. But when a very recent corpse shows up in a haunted abandoned nightclub, alongside the bones of the famous missing singer, Bobbie Bray, everyone is spooked - especially the new owner. Did Bobbie's ghost finally get her revenge, or is there a more earthly explanation? Set between Memory in Death and Born in Death. When notorious it-girl Tiara Kent is found dead in her plush Manhattan apartment, the murder looks to everyone like a vampire attack - everyone but the ever-practical Lieutenant Eve Dallas. As the hysteria spreads, Eve must act fast. Discovering Tiara's secret lover, a Dark Prince, Eve and her team are led on a chase into the darkest corners of the city and deep into their own fears. Set between Creation in Death and Strangers in Death.